Your donation helps ROMAC’s mission to restore dignity and save the lives of children in our region. This benefits not only the lives of the children, but has a positive impact on their community as well. All donations over $2 to ROMAC are tax deductible. This humanitarian program is run entirely by Rotarian volunteers; surgeons donate their expertise, hospitals often reduce costs and there are minimal overheads no office, no paid staff etc – giving great value for every dollar you donate. Even better, your donation is spent in our countries (Australia and New Zealand) supporting our local communities near the hospitals where the children are treated. ROMAC, the children and their families are most appreciative of all bequests and donations. If you have pledged a monthly donation and wish to cancel it, please provide your plan id. This is a unique alpha numeric code that appears on your transaction receipts. If you are having issues, please contact the ROMAC treasurer. A guide of frequently asked questions (FAQs) you may have when donating to ROMAC. 1. How can I donate to ROMAC? Make a one-off or regular payment via your online banking system using the account details below. Then contact us to let us know your contact details, amount and time you sent the donation to receive a tax receipt. To donate by mail post a cheque to the following address. Should you require a receipt, be sure to provide your name and postal address. 2. How much should I donate? Any amount that you feel you can contribute to ROMAC is greatly appreciated and goes directly towards helping children. You can get an idea of what levels of donation help us to generate different outcomes for the kids with these examples below. 3. Are donations to ROMAC tax deductible? Donations over $2 made in Australia are tax deductible. Donations made outside Australia may be tax deductible, please check your local deduction laws. 4. Can I get a tax receipt? If you are an Australian tax payer, donate online and provide your email address, you will receive a tax receipt by email. If you donate by mail, include your name and contact address in your communication and we will send you a tax receipt. If you donate by electronic funds transfer, be sure to include your name as the reference on the funds transfer, then request a tax receipt by contacting the ROMAC treasurer. If you are a New Zealand tax payer, please send a tax receipt request to the ROMAC New Zealand treasurer. If you are a USA tax payer, your ROMAC donation is not a 501(c) (3) Tax Deductible Contribution. 5. What are donations used for? 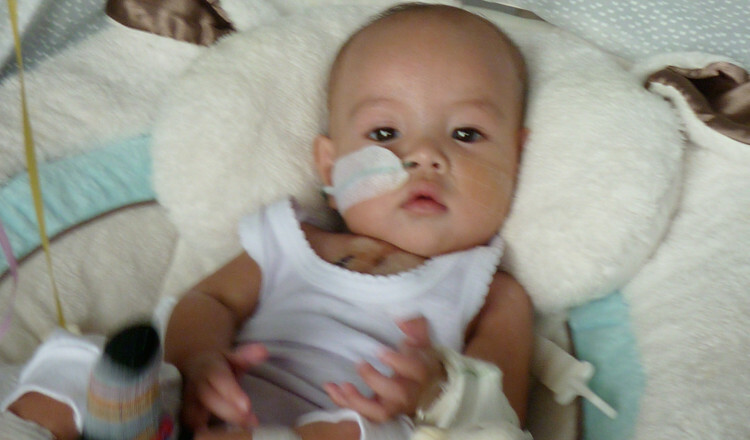 100% of your donation is targeted for child medical expenses. Other ROMAC expenditure comes from other income streams. 6. What other ways can I help? Bringing patients into Australia and then accommodating them is an expensive activity. There are airfares for a patient and their carer, accommodation, local travel expenses, often clothing requirements because of the different climate from their origin, food and toiletries, pharmaceutical needs and a host of other expenses. Donations in kind and gifts are a wonderful way to support the ROMAC program. Contact your local Regional Chair if you can provide support. Including a gift to ROMAC in your Will is a lasting and meaningful way of helping to change and often save the lives of underprivileged and deserving children through the ROMAC program.